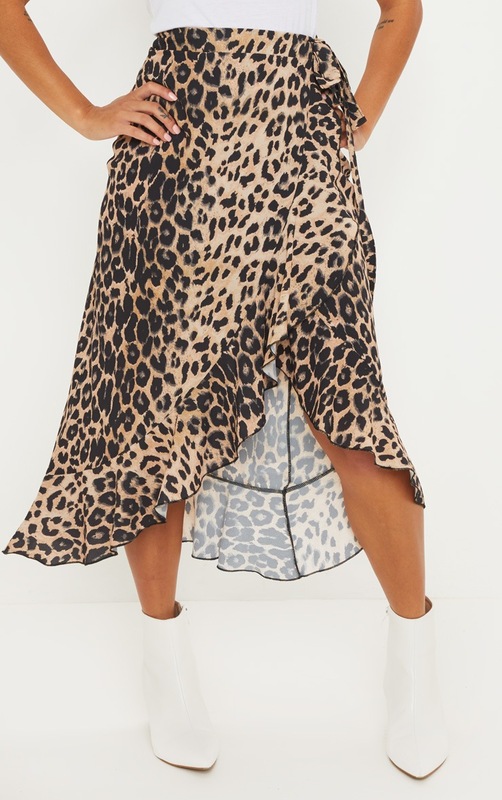 Get fierce with this midi length skirt. Featuring a brown leopard pattern, tie waist wrap design. We love this teamed with a white tee and ankle boots for an A/W look.